Well, it looks like the rumors were true after all! 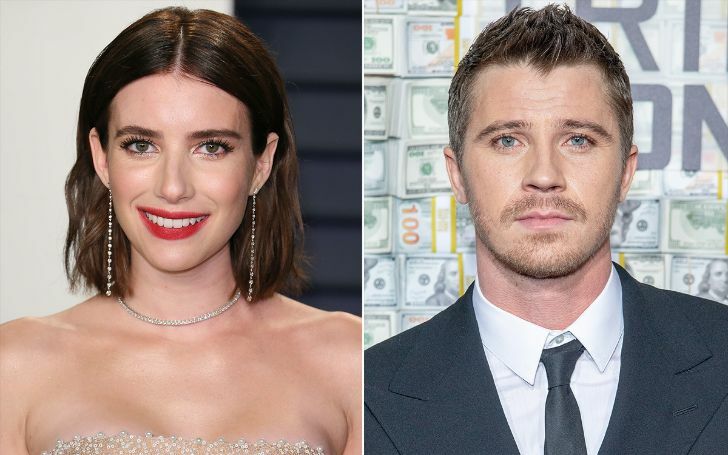 American actress Emma Roberts is, in fact, dating actor Garrett Hedlund. The news of their romance has been swirling around the internet for quite some time now and it looks like they're really dating. Recently during their outing in New York City, the new love birds in town looked so happy as they walked holding hand in hand. And not only that, as Garrett lead the way, his lady flashed a big smile which goes on to show that she is happy with him. Emma Roberts and Garrett Hedling walking hand in hand during their outing in NYC. The actress and Evan were dating since 2012 after they filmed the Indie comedy-drama, Adult World. The couple shared the screen for four seasons. The couple had a very rough time in their relationship back in 2013 when they got involved in a physical altercation which led Peter with a bloody nose. But despite the fact, the couple got engaged on the Christmas of the same year. Now speaking of Garrett's previous affairs, he was involved with Spider-Man actress, Kirsten Dunst. But now, Emma is happy with her new relationship with the Triple Frontier star and we wish them all the best for their bright future ahead.